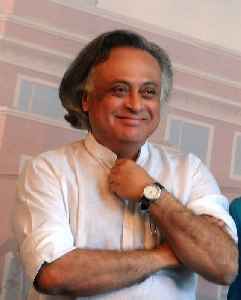 Jairam Ramesh is an Indian economist and politician belonging to Indian National Congress. He is a Member of Parliament representing Andhra Pradesh state in the Rajya Sabha since June 2004. In July 2011, Jairam Ramesh was elevated to the Union Council of Ministers of India and appointed Minister of Rural Development and Minister of the new Ministry of Drinking Water and Sanitation. However, in the cabinet reshuffle in October 2012, he has been divested of the portfolio of Ministry of Drinking Water and Sanitation. He was previously the Indian Minister of State at the Ministry of Environment and Forests from May 2009 to July 2011.